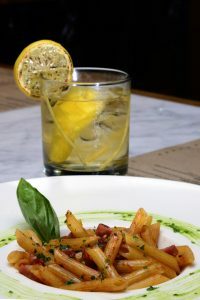 Whiskey and Italian food can be best mates, yes or no? 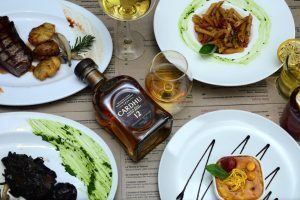 Find out for yourself at CarneSA until end of May, as maestro Giorgio Nava serves up classic Italian food with fine Scottish malt whiskey for the Cardhu Whisky Experience at Carne SA. 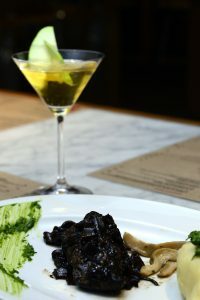 This 4-course journey of discovery takes place at Carne SA in Keerom Street, the heart of the city’s legal district. NEWSFLASH! Now extended until end of May! 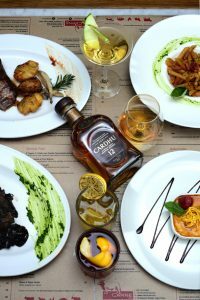 Chef-Proprietor Giorgio Nava has created a fabulous menu at his flagship restaurant dedicated to meat, melding the glowing notes of golden honey and delicate fruity character of Cardhu whisky in every dish. The 12 year old Speyside single malt will be paired with each course, either neat or as a whisky cocktail. 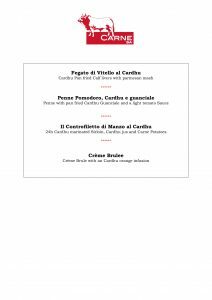 At R650 per person for the entire 4-course meal including whisky pairings, guests can indulge in delicious pan fried calf livers as a starter, followed by classic penne al pomodoro with rich guanciale (pork cheeks), both prepared with a dash of Cardhu of course. 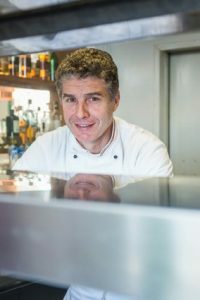 For his main course, Chef Giorgio is serving a sirloin marinated in whisky for 24 hours and drizzled in a silky Cardhu jus. 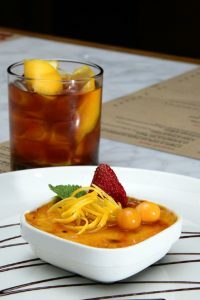 A delicious crème brûlée enriched with a Cardhu orange infusion rounds off the evening beautifully. 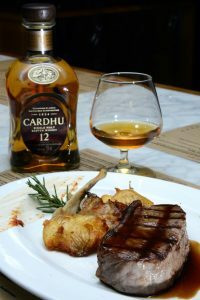 The Cardhu Whisky Experience at Carne SA starts on Monday, 2 April. 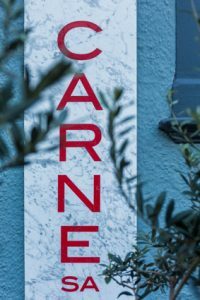 Carne in Keerom Street is open for dinner every evening from Mondays to Saturdays. For bookings, call: 021-424 3460 or email: info@carne-sa.com. Cardhu Whisky was founded by one of the first women involved in whisky production, Helen Cummings. 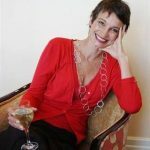 She set up a distillery in the Speyside region of Scotland where she produced amazing whisky revered for its quality and consistency. She in turn passed the distillery down to her daughter-in-law in 1881 who saw through huge expansions of both the distillery and the maturation warehouses. At the same time Johnnie Walker was growing very well and he decided to purchase a distillery to help relieve some of the pressure of sourcing malt whisky for his blends. He wanted to purchase a distillery know for amazing quality and flavour and out of the 300+ distilleries in Scotland at the time he chose Cardhu – a great testament to what the distillery stands for. Cardhu is known as the generous malt because Helen Cummings used to warn other illicit distillers in the region when the tax man was on his way by raising a red flag. This was an indication for them to hide their stills and whisky during a period when not all distilleries had a license to distill in the highlands of Scotland. Cardhu’s light flavour profile and aromas of grilled pineapple and grass, makes it a great whisky for introducing newcomers to the category. The palate has a silky, soft mouthfeel with developing notes of honey soaked pears, banana and even toffee. It finishes with notes of raisin and honey with lingering vanilla spice.